Win a 4D3N Trip to Singapore for your Overseas Family Member/Friend (& a Staycation for Yourself)! I once came across this quote: "As you grow older, you realize it becomes less important to have more friends and more important to have real ones." I have to say I have been really blessed to have a group of close friends since my secondary school days and we have remained in close contact ever since. In fact, I'm happy that our kids have now gone on to forge some pretty close friendship of their own! Among all of them, one currently resides overseas and he is also the one whom I have known the longest in the group - since Secondary 1 to be exact, and 27 years if you need specific numbers. He has also become a Dad, and also soon to be a father of two! Oh, and he is the one with erm, the least amount of hair in case you are wondering. 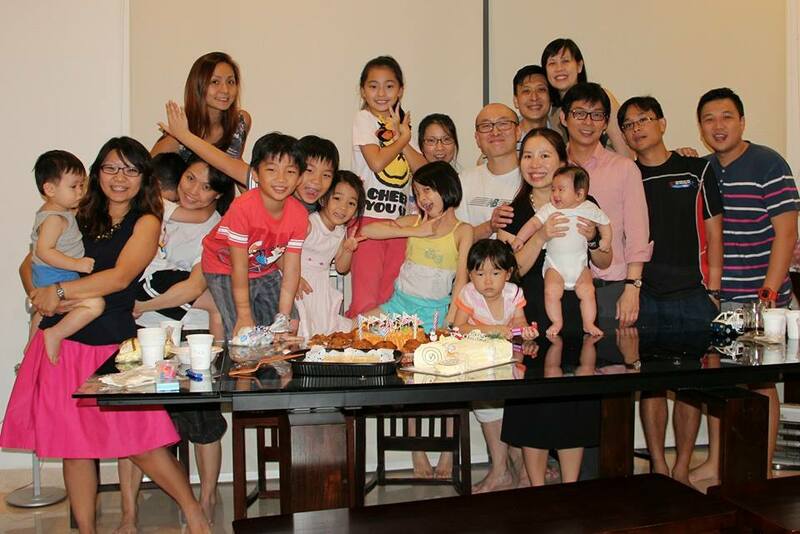 So if I had my way, I would love for him and his beautiful family to visit Singapore more frequently. Why? Simply because our country is such a family-friendly place... which you should know by now if you are a regular reader of my blog. Great news if you have any friends or family who you would like to invite to Singapore too! Take part in Singapore Invites and you could get a chance to win your friends/family a 4D3N trip to Singapore while you get to enjoy a staycation with them! So where will I bring him and his family in Singapore? It turns out that there are just too many choices that I ended up compiling an A to Z list of places for him to take his pick from! And hopefully, you will be inspired by this list and head to www.singaporetourism.com.sg to take part too! colourful coral reef with 20,000 friendly fishes? For parents looking for a different experience compared to the modern city life in Singapore, I recommend heading down to Balik Kampung (meaning “going back home” in Malay) at Lorong Chencharu. The flagship community programme of Ground-Up Initiative (GUI), a volunteer-driven non-profit organisation, allows families to participate in activities such as weeding, watering and working on the farming plots, harvesting fruits and vegetables, strengthening river embankments, preparing lunch for volunteers and even some carpentry work. Volunteer sessions are every Saturday between 8.45am and 2pm and every Wednesday between 9.45am and 3pm. The iconic and majestic Dragon Playground along Toa Payoh Lorong 6 is one not to be missed, especially since it was picked to be featured as one of the “15 Amazing Playgrounds Around the World”! No rubber mats or plastic play equipment here, just running along the metal spine of the dragon or sliding down its terrazzo back and, of course, sand! back and enjoy a mix of Thai-inspired cuisine, western dishes and sandwiches while the kids craft away. Every Saturday mornings between 9am and 11am, ALL fire stations, except Jurong Island Fire Station, open their doors to the public. Unless you are visiting in a group of more than 10 people, no prior registration is required. Just walk in and let the kids clamber onto a real fire engine, spray the water hose and even take a ride up the mechanical ladder! Definitely an experience to thrill every child. To put it simply, Gardens by the Bay is a must-visit destination for both locals and tourists. The lush and beautiful Gardens are filled with plant life from every continent except Antarctica. Walk on the suspended walkway between Supertrees to enjoy a bird’s eye view of the gardens. In the evening, catch the sky show of choreographed lights and sounds at the Garden Rhapsody amidst the Supertrees. For kids though, the Children’s Garden will be their ultimate fave, with four main play zones - Adventure Trail, Rainforest Treehouses, Toddler Play Zone and Water Play Areas! There are obstacles to conquer, tree houses to climb, slides to whiz down, and a sprawling water play area with water splines, a hydro vault, and orchid-shaped splash buckets. Toddlers will be contented at the dedicated Toddler Play Zone and mini Water Play area. Feel the rush of skydiving without any of the danger. Boasting the world’s largest themed wind tunnel for indoor skydiving, iFly Singapore allows anyone, from first-time flyers to seasoned skydivers, between seven to 106yrs old (! ), to spread their wings and fly. Its state of the art patented technology ensures a high degree of safety and the sheer size of the wind tunnel allows for a variety of movements such as freeflying and even formation skydiving. Asia’s first garden dedicated to children, the 2-hectare garden is packed with interesting features and stations such as the Sensory Garden where kids learn about nature by engaging their senses of smell and touch. This garden is one of the rare places in Singapore where adults need to be accompanied by kids to enter! Other attractions include the water play area and an awesome tree house furnished with a spiralling slide. Let the kids see the lesser known side of Singapore, with a variety of different farms available for exploration. Learn about their farming practices, with farms for eggs, milk and fruits, and others that breed fish, dogs, goats and other animals. At least half a day is required to cover most of the farms. 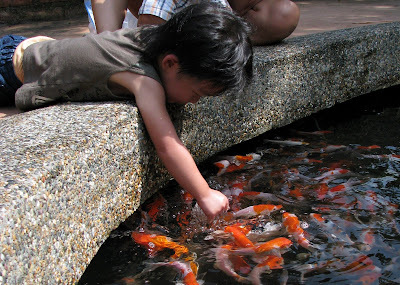 Kids will adore the hands-on experiences - there are fishes to feed, vegetables to harvest and frogs to touch. They can also pot plants and watch how goats are milked. The Labrador Nature Reserve is home to a 2.1km Nature and Coastal Walk which comprises three segments - Alexandra Garden Trail, Berlayer Creek Mangrove Trail and Bukit Chermin Boardwalk. Kids will enjoy the 330m Bukit Chermin Boardwalk just after Berlayer Creek. This elevated boardwalk over the sea takes them across the mouth of Berlayer Creek and along the coastal foothill of Bukit Chermin. Open 24hrs and a favourite in the Singaporean shopping scene, this is the place I used to go with my buddies to look at Casio watches when we were still in university. After which, we would head for a crispy roti prata at a nearby cafe and wash everything down with a teh tarik. Of course, this shopping mall stocks a mindboggling range of items from clothes, perfume, souvenirs, electronics, makeup, confectionery to even food & groceries. Kids, on the other hand, will have no trouble keeping themselves occupied in the toy section! The oldest museum in Singapore, the National Museum’s new permanent galleries seamlessly weave the past and present into a compelling narrative. Don't miss the PLAY@National Museum of Singapore section on Level 3 which is a dedicated area for young children to have their first museum experience. It is filled with interactive exhibits and special activities that encourage learning through play. Inspired by the Museum’s collection, kids can express themselves through the various hands-on exhibits that blend colours, sorting and differentiation into one creative journey. There is even a giant blackboard at the outdoor balcony for kids to doodle! almost four years of Japanese rule and the return of British administration in 1945. One key highlight is the Boardroom of Surrender where the surrender of the British to the Japanese took place. Spread over 10 permanent galleries over three storeys, the exhibits showcase the cultural traditions and the distinctive visual arts of the Peranakans. Highlights include an elaborate 12-day Peranakan wedding, the stories of prominent Peranakans in Singapore’s history and how Peranakans today have evolved with their culture. Keep a lookout for its Straits Family Sundays programme which happens every second Sunday of each month. Families explore the colourful world of Peranakans by making crafts based on the museum’s collection, go on a special themed tour of the galleries or dress up in a batik shirt or sarong kebaya. Besides being home to 200 species of fish including endangered and high value ornamental fish, kids can try longkang fishing at the Agro-Education Centre. For a small fee, they can catch as many small fish as they are able to in 30mins. Or, purchase food pellets to feed the fishes in the pond. miniature scale so that kids can learn the importance of following traffic rules in Singapore. Now, it is free for everyone so bring the kids’ bicycles and scooters along and take advantage of the traffic facilities to teach them about road traffic safety. With more than a thousand interactive exhibits spanning 14 galleries, Science Centre Singapore continues to remain relevant by regularly updating its exhibits. Trek to the centre of the earth, squeeze your way through the human body’s digestive system or probe through leaf litter at the EcoGarden - there is always something new for kids to explore and learn every visit... AND bring back memeries of school excursions for the parents! area comes with a different theme that takes kids through a discovery of both the natural and man-made world. Part indoor playground and part make-believe fantasy-land, kids learn about the world around them through a mixture of role-play and hands-on activities. Thow Kwang is home to one of the last surviving dragon kilns or long yao in Singapore. The Thow Kwang dragon kiln was built in the 1940s and used to fire ceramic products. After a hiatus, the dragon kiln was brought back to life. Since 2001, potters’ activities have thrived and now there is a huge selection of pottery wares for sale there. While the Dragon Kiln is certainly a draw, the hands-on pottery sessions will be a hit with the kids. They would love creating pots on clay-wheels during the session before burning the pots in the kiln. Sessions are typically conducted during weekends and public holidays, and start from $28 for 1.5 hours. After that, head over to the Jurong Eco-Garden which is right beside. and friends. Thrill seekers face warrior mummies on Revenge of the Mummy, a psychological roller-coaster ride in total darkness and brave the plunge on the Jurassic Park Rapids Adventure. But the highlight has got to be the TRANSFORMERS The Ride: The Ultimate 3D Battle which brings visitors on a pulsating 3D ride in an epic battle between good and evil. These vertical playgrounds, otherwise known as 'Wallholla', are a breath of fresh air in Singapore's playground scene. Encased in a three-storey high metal grid cage, the Wallholla is made up of undulating ribbon-like layers. The play structure is suitable for children aged five to 12, and big enough to hold 30 children at once. Kids can walk on the orange wavy layers at some points, or scale them at others. As they navigate their way through the cage, some surfaces change to become rope mesh or simply gaps, encouraging kids to think of ways to conquer the obstacles. The exterior vertical grills also have climbing holds - much like those on rock-climbing walls - to allow kids to climb around on the exterior surface and enter the structure midway through a window. There is even a fireman pole for those who crave for that rush of adrenaline! See the addresses of the 5 Vertical Playgrounds HERE. If the East Coast is the King of sandy beaches & cool sea breeze, then West Coast Park must be the King of playgrounds. It has about SEVEN different types of play areas which cater to different age groups - from the toddlers to even teenagers. And standing at the core of the park is the Adventure Play Area with a giant spiderweb-like structure that allows kids (and adults) to scamper up to dizzying heights. There are also Ninja Warrior-inspired obstacle courses and a Flying Fox installation that is sure to challenge one’s agility. The little ones do not get left out too - there are two non-sand areas which cater to the youngest of toddlers. a specially designed layout) and The Vertical Bowl (for advanced skaters and bikers). Best of all, everything is free to enjoy! Yong He is an old haunt for many people, including myself. 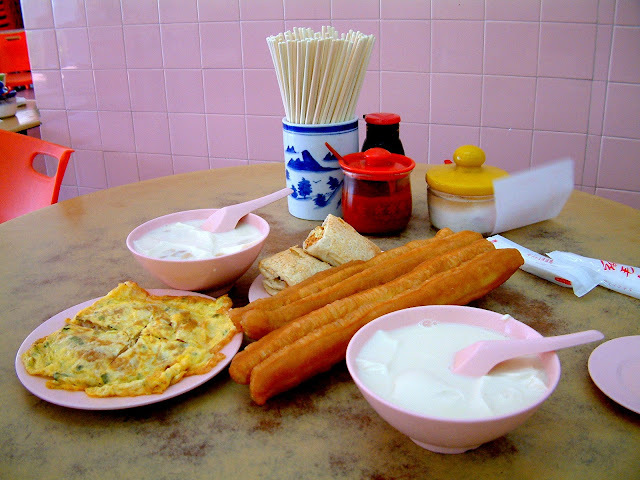 This humble Geylang favourite serves simple and modest Taiwanese food like mee sua, tau huay and you tiao that satisfied my ravenous university mates and I years ago. 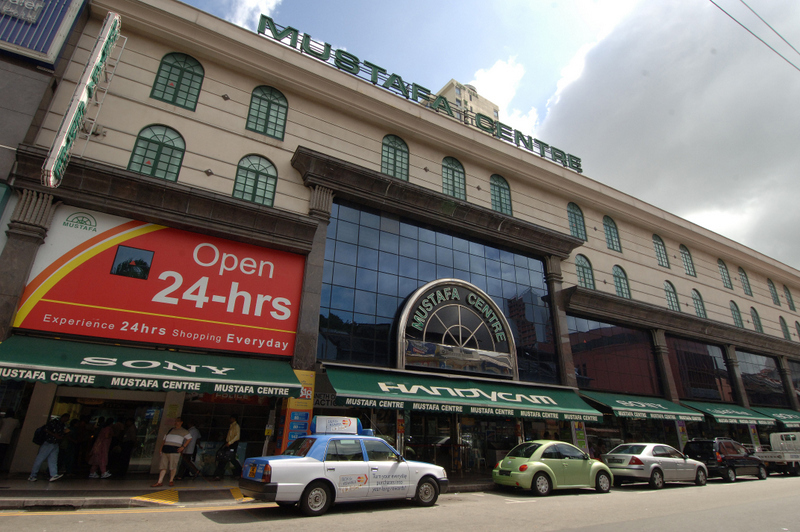 Plus, Geylang is a great setting for parents to engage in impromptu story-telling - sharing stories of the more colourful and seedier side of the place. 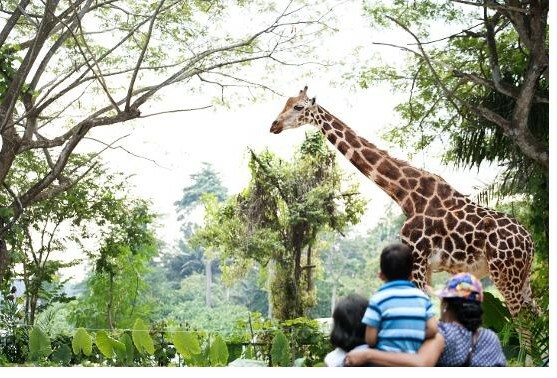 Singapore’s renowned ‘open’ zoo is a haven for both animals and visitors. Trek along foot tracks or hop on to a guided tram to see exhibits in 11 zones, each a unique immersive experience. Special attractions include KidzWorld where kids interact with farm animals and enjoy excellent playgrounds, Frozen Tundra where Inuka the polar bear and wolverines reside, the Fragile Forest and the Australian Outback. Kids will never say no to the animal shows as they watch the sea lions perform at the Splash Safari Show or cheer on as trained animals do their thing at the Animal Friends show. Phew. Those are sure a lot of places to cover! Do you also have a place or experience in Singapore that you will love to share with family members or friends who are overseas? Great news, there is no better time to extend a personal invitation to that someone to come to Singapore for FREE! 25 winners will win a 4D3N trip for their overseas friend/family (up to 3) mentioned in their invite to come to Singapore and enjoy the dream Singapore experience together. In turn, the winner will also receive a 3-night staycation with their friend/family member! Alternatively, you can also post your photo and story on your own Instagram account, with hashtags #SingaporeInvites and #Singapore. Closing date is 6 December 2015. Have fun sharing your story, and good luck!